the Passion of the Catholic Church? 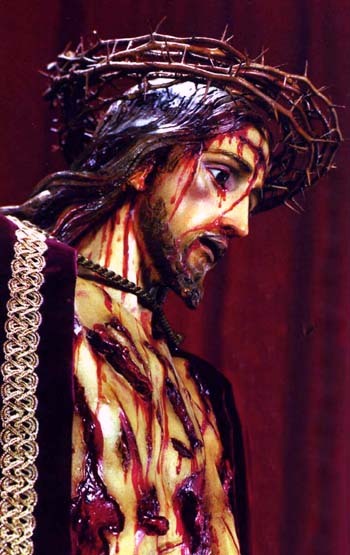 Nothing in History has been so similar to the Passion of Our Lord Jesus Christ as the situation through which the Holy Roman Catholic and Apostolic Church is passing in our days. Therefore, the compassion we feel regarding the Passion of the God-Man should also stir us with regard to the present situation of the Church. The two Passions constitute one single thing. The crime of Deicide – whether Cardinal Bea wants to use the term or not – that moved Catholics in all centuries toward solidarity with Our Lord, is recurring today. Only today the enemies of Christ are trying to kill the Catholic Church – a crime that perhaps could be qualified as Ecclesiocide, if it were possible to kill the Church. These two Passions are intertwined in such a way that one can say that the Passion of Christ is being repeated in our days. This should remind us that we should take a position of soul similar to those faithful persons who knew Our Lord and served Him in His earthly life. The obligations of fidelity, sorrow, adoration, reparation, and thanksgiving for the Passion were much graver for those persons than for the faithful henceforth. But these duties are incumbent upon us today, since the Catholic Church is the Mystical Body of Jesus Christ. Therefore, we should take a position of soul similar to that assumed by the faithful of His time. This is an invitation for us to pass Lent and the Holy Week meditating on the Passion of Our Lord, asking Our Lady to give us the grace to be faithful disciples in this second Passion. How should this duty of supreme fidelity during the present day Passion of the Catholic Church be lived? The liturgy of Holy Week sings one of the lamentations of Jeremiah that says: “O all ye that pass by the way, attend, and see if there be any sorrow like to my sorrow” (1:12). We should stop and meditate on the depths of the suffering of the Church today and compare it to her sufferings in times past. We should have a sorrow for this situation as well as the intent to do what we can to prevent more sufferings to come. We should be motivated to a more enthusiastic love for the Church, a more complete fidelity, a more unconditional dedication, a ceaseless activity, and a more acute combativeness. These are components of the state of spirit we should have to follow the Passion of Jesus Christ as it unfolds today. The faithful souls of our times participate, in a mysterious way, in the consolation Our Lord received in His Passion 2,000 years ago. This should inspire us to make more acts of reparations for the offenses against His Mystical Body that we are witnessing. These acts should be made before God, Our Lady, and the entire Celestial Court of Angels and Saints in order to make amends to the glory of God, which is profoundly offended by the steps of this second Passion. It is the way to manifest our fidelity. Such prayers of reparation have a great value before God because they express an understanding of all the evil being committed, together with our complete execration of it and our intention to do whatever we can to prevent and repair it. Since it is proper to the human spirit to understand things by comparison, one can ask: What is the opposite of this spirit of compassion? The opposite of this compassion is indifference. It is to not consider the gravity of the Passion of the Church. It is to not consider the great panoramas of the Catholic cause. It is to think primarily about one’s own personal life and concerns. The typical expression of indifference regarding the Passion of the Church is to put one’s own personal interests and problems above it. If we want to know if we thought about the Church or about ourselves during the day, when the hour to sleep arrives, we should try to recall our emotions of the day. Were we moved by the suffering of the Church? Or were we stirred only by our own personal self-love and interests? It is a useful thermometer to know the temperature of our compassion for the Passion of Holy Mother Church.